Bracing isn’t just for adults. In fact, many of the stability issues and pain faced by patients that becomes more apparent late in life can be prevented and greatly decreased during childhood. We hope, through pediatric bracing, to help children with the complex ambulatory issues they face. Our Orthotists strive to improve the overall mobility in our young patients and allow them a wider range of experiences, more success in their activities they choose, and ultimately more control over their lives. We are passionate about helping children lead healthier, happier lives. Pain: Foot pain, in children and in adults is not normal, no matter how active a person is. 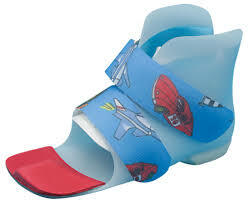 Orthotics are a safe and non-invasive option for children. 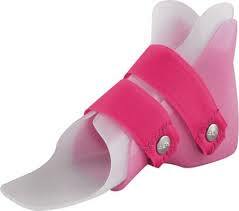 Instability: IF your child seems clumsy or unstable, or does not seem to be performing athletically to their usual level, they may benefit from intervention with orthotics. Once they start playing sports, running, and becoming more active, you may notice discrepancies in how they move, compared to their peers. Sensory Delay: If you notice your child is not meeting developmental goals such as they are not crawling by the time they should. Low Tone: If your child’s muscles are on the loose, floppy side. You may find it unusually easy to move their arms and legs when they are relaxed, or that they seems to slip through your arms when you pick him up. 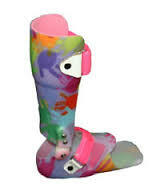 For more information on pediatric bracing click here.